German-themed beer festivals take place in the Lower Mainland each fall including Oktoberfest events in Vancouver, Port Moody and elsewhere. There is also the Harrison Beer Festival and Vancouver’s North Shore Craft Beer Week. In addition to these, the BC Cancer Association hosts an Oktoberfest fundraising event in Abbotsford. Oktoberfest is a German festival traditionally held in late September and early October. The largest and most famous Oktoberfest in the world is the one in Munich, Germany, but ones in Metro Vancouver are pretty fun too! Oktoberfest events invariably involve copious amounts of beer as well as German-style pub foods like sausages and sauerkraut, not to mention German accordion and polka music. If you like beer and/or dressing up in lederhosen, then Oktoberfest can be a lot of fun! Below is a list of Oktoberfest events in the Lower Mainland that take place most years. The Coquitlam Craft Beer Festival is one of our favourite Lower Mainland beer-themed festivals. It’s indoors at a fancy place, admission is reasonable and the appetizers and drinks are included – there’s no need to buy tokens or pay extra for your food or beer. What’s more, partial proceeds of the event benefit the Ride to Conquer Cancer. True, the event isn’t exactly an Oktoberfest event. There is no oompah band, nobody wears lederhosen and it doesn’t even have a German theme. It’s a beer festival though, it takes place close to Oktoberfest season and we think it’s a fabulous event, which is why we include it here in this list. In 2018 the Coquitlam Craft Beer Festival takes place at Coquitlam’s Westwood Plateau Golf Club in the evening of Friday October 2nd and on the afternoon of Saturday, October 3rd. Click Coquitlam Craft Beer Festival for more details. The Vancouver Alpen Club is a local cultural organization at 4875 Victoria Drive that hosts an Oktoberfest event and boasts the largest selection of German beers and wines in Vancouver. The event is for folk ages 19+ and, as should be expected, it features German beer, food and music. 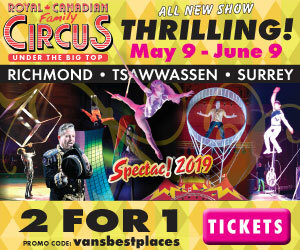 General admission for the Vancouver Alpen Club event is about $35 plus taxes, or $80 for VIP tickets which include access to a designated area with a complimentary buffet. Beer and other festive drinks are extra. 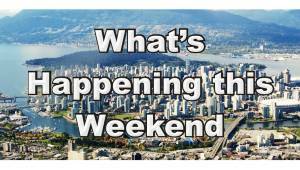 Dates for the club’s Oktoberfest Vancouver event in 2018 are the Fridays and Saturdays of October 5 & 6, 12 & 13 and 19 and 20. Doors open at 7:30 pm. Activities at the event include beer drinking (of course), dancing, singing, German games and the optional wearing of lederhosen and other traditional German attire. Performers at Oktoberfest Vancouver include the Alpen Plattlers dance group and the band The Continentals. The Vancouver Alpen Club venue has a capacity of about 350 people and most years each of the nights sells out (although a small number of tickets are still usually available at the door). For more information or to buy tickets for this event, click Oktoberfest Vancouver. Cloverfest is a fundraising Oktoberfest event in Surrey that’s put on by the Cloverdale Chamber of Commerce and Cloverdale Rotary Club. 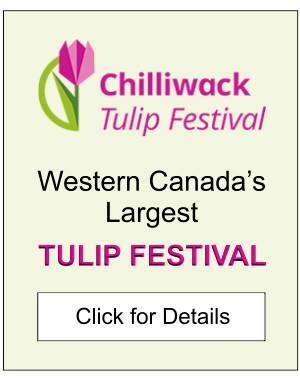 In 2018 the event takes place on Saturday, October 13th, from 4 until 9 pm at Shannon Hall at the Cloverdale Fairgrounds at ?17607 60th Avenue in Surrey. Tickets for Cloverfest are $25 in advance, $40 for VIP tickets and $35 for regular admission at the door. The price for general admission includes 2 beverage tasting tokens, a souvenir sampling cup and a fun evening with live music. VIP admission includes 10 beverage tasting tokens, a sampling cup, priority line access and a fun evening with live music. For more information click Cloverfest. The Oktoberfest event in Port Moody takes place in a giant tent at 100 Newport Drive outside the Port Moody Public Library and just a short walk from the Inlet Centre SkyTrain Station. The dates for the event in 2018 are October 5th, 6th and 7th. Port Moody Oktoberfest hours of operation last year were from 4 to 10 pm on the Friday evening and from noon until 10 pm on the Saturday and Sunday. 2018 details are to be confirmed. Regular admission to each event last year was about $20 per person, or $50 for a Full Festival Pass which was good for all six days. (Note: Last year the event ran for 6 days, whereas in 2018 it’s just the one weekend.) Groups of 10 could also reserve a private table for $500 which entitled them to 10 complimentary beers and 10 food items. Port Moody Oktoberfest calls itself “Western Canada’s largest and most original Oktoberfest,” so it’s not a tiny affair. Another nice thing is the fact that proceeds from the event benefit the local Eagle Ridge Hospital Foundation. Food at the Port Moody event includes pork hock, schnitzel, bratwurst, pretzels and corn, all of which are available for sale. German beers include Paulaner and Hacker-Pschorr, and there’s also wine from BC’s Ledlin Family Vineyards. Live music at Port Moody Oktoberfest event in 2017 was with the Oktoberators, Rheinlander Band and Billy Jones Live. Each year expect to hear the accordion, tuba and lots of oompah and polka-style music! 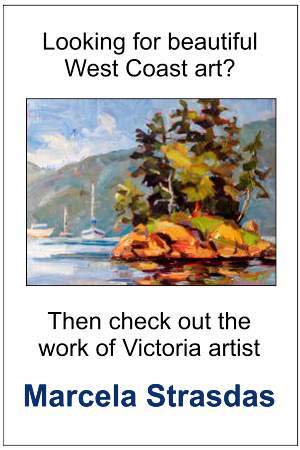 For more information click Port Moody Oktoberfest. The Harrison Beer Festival is a community event that takes place in late October at St. Alice Hall near the Harrison Hot Springs Resort which is located at 100 Esplanade Avenue. The popular 2-day event includes a Cask Night, Beer Festival and Oktoberfest Dance. In 2018 the Harrison Beer Festival takes place on the Friday and Saturday of October 26th and 27th. Celebrating its 7th year in 2018, Harrison Beer Festival celebrations include an Irish-themed Cask Night on the Friday from 6:30 to 10:30 pm. Last year tickets for this were $30 and included a tasting glass, 3 beverage tokens, a buffet and music by the Celtic Vancouver-based band Blackthorn. At the event 8 to 10 different breweries compete to see whose beer is most popular (as proven by whose keg gets finished first). Also at St. Alice Hall, usually on the last Saturday in October, the Beer Festival takes place between 1 and 5 pm. At the event BC breweries sell samples of their brews and compete for people’s votes. Attendees receive a complimentary beer tasting glass, three beverage tokens, access to a light buffet and the opportunity to sample dozens of craft beers at about $1.50 per mini glass. The Saturday event is so popular that it typically sells out over a month in advance! Breweries participating in the 2017 event included Central City from Surrey, Dead Frog from Aldergrove, Deep Cove Brewery from North Vancouver, Foamers Folly from Pitt Meadows, Moody Ales and Yellow Dog from Port Moody, and Parallel 49 and Main St. Brewing from Vancouver, as well as about a dozen others. NOTE: Tickets for the Saturday Beer Festival event in 2017 sold out well in advance! If you want to attend in 2018, reserve your tickets early! The Oktoberfest Dance at Harrison Hot Springs takes place on the last Saturday in October at St. Alice Hall at 100 Esplanade Avenue. The event runs most years from 8:00 until 11:30 pm and the cost is usually around $45 per person. At the Oktoberfest Dance there is dancing to polka music (not unsurprisingly), and a German-themed buffet. Participants also receive a complimentary souvenir Oktoberfest mug and one free beer. Additional brewskies cost about $5 per glass. For more information about the Cask Night, Beer Festival and Oktoberfest Dance, check out the Harrison Beer Festival website. Oktoberfest celebrations take place on Saturday, September 29th, at Hastings Racecourse from noon until 6 pm. The venue is at the PNE grounds at 188 North Renfrew Street. Access is via the PNE’s Gate 6 or 9. The Oktoberfest event at Hastings Racecourse features the usual beer, food and music, plus the added bonus of horse racing. Tickets cost around $50. Included with admission is a souvenir beer stein, 2 drink tickets, 1 food item voucher, $5 towards a horse bet and a horse racing program. Click Oktoberfest at Hastings Racecourse for more details. North Shore Green Markets hosts an Oktoberfest event at the Shipyards in North Vancouver. In 2018 it was tentatively scheduled for Friday, October 19, but is no longer going to take place. Last year about 200 people attended and hopefully it’ll happen again in 2019. Although there won’t be an Oktoberfest at the Shipyards in 2018, North Vancouver still hosts Vancouver’s North Shore Craft Beer Week which takes place from October 19th until the October 26th. Harvest Haus is Vancouver’s largest and arguably most impressive Oktoberfest event. It takes place most years in a giant tent “Festzelte” structure that holds up to 1000 people and features German food, beer, live music and other entertainment. It will NOT, however, be taking place in 2018. In recent years The Festzelte venue has been near Concord Pacific Place at 88 Pacific Boulevard not far from BC Place Stadium. That location is no longer available, however. They have found a new venue for their future events, but not in time for the 2018 season, which is why they are taking a break this year. In past years tickets have cost between around $25 and $35 for general admission and food and beers are extra. For more information about the Vancouver Oktoberfest event, click Harvest Haus. The Steveston Community Society hosts an adults-only Oktoberfest event at 4111 Moncton Street in Steveston Village most years (although not in 2018). In years when it does take place, the event is always on the first weekend in October. The Steveston Oktoberfest event attracts an older crowd than most other Oktoberfest events in the Lower Mainland, and many of the up to 250 participants know one another. In recent years tickets have cost about $40 and included an alcoholic beverage, souvenir beer mug, dinner and live entertainment. For information about upcoming events at the Steveston Community Centre, see the Steveston Community Society‘s website events page. Again, this event is NOT taking place in 2018. 2019 details are to be determined.